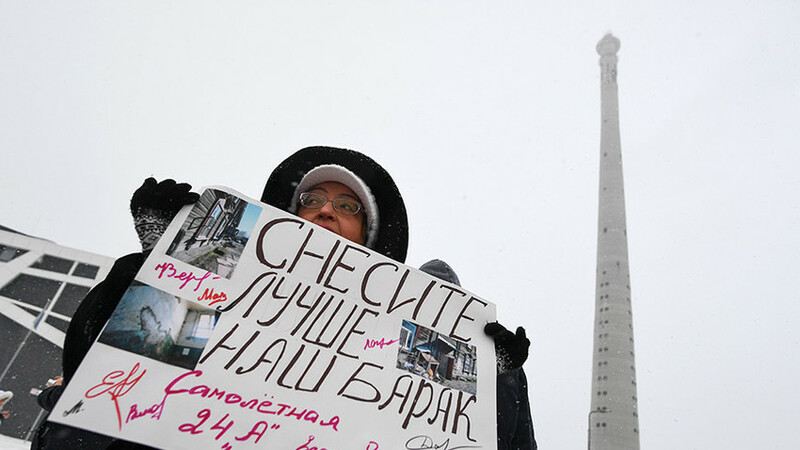 On the morning of March 23rd, 2018, roofers have invaded and occupied the derelict TV tower in Ekaterinburg (880 miles from Moscow). The building is to be demolished on the 24th, but the locals apparently stand against it. Tower security has managed to stop seven of the protesters, with four slipping away and entering the premises. However, the four lacked the equipment to spend several days up top (the food and warm sheets were one way or another confiscated by security). Despite the lack of supplies, one of the roofers had somehow managed to parachute down. There are no technical means to remove invaders from the top, so the police and the onlookers just waited. Nine hours had passed before the remaining roofers came down and were detained. Some of the roofers are being detained. Earlier, on the evening of March 22, locals had gathered at the tower to stage a collective performance - people lined up holding a single three-colored ribbon in their hands. The locals wanted to form a giant square around the tower, standing and holding the ribbon on nearby streets to figuratively “hug” the tower. Although they eventually failed to connect the ends of the line, the performance attracted considerable attention. 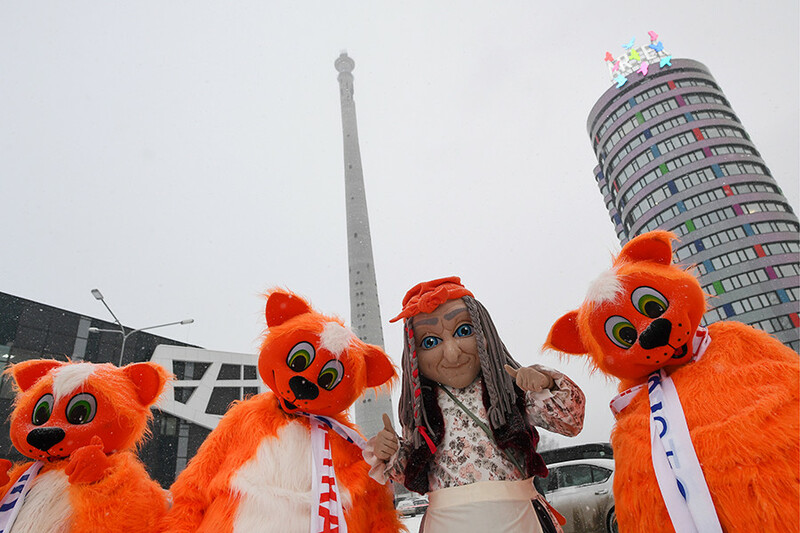 People wearing costumes take part in a rally titled 'Let's Hug Our Tower' against the demolition of an abandoned TV tower. The construction of the tower started in 1983, but was suspended in 1991 due to lack of funds. 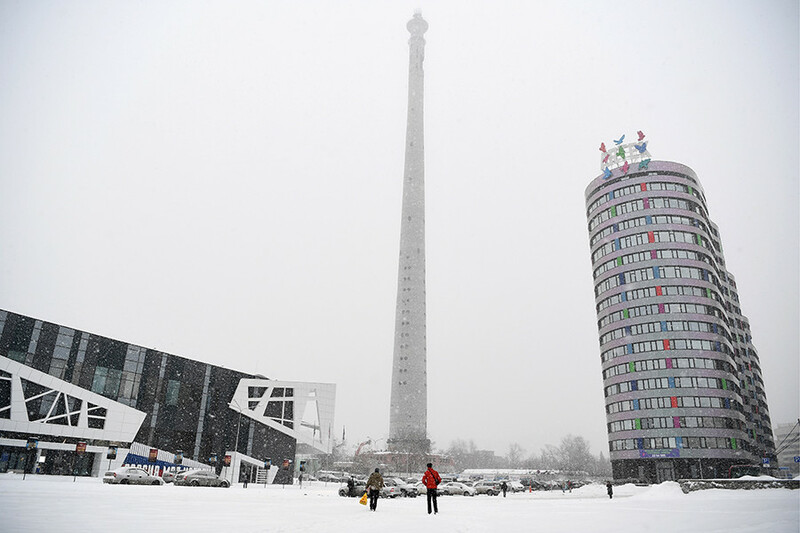 Since then, the 220-meter tall construction sticks out imposingly over the city. It attracted different people over the last 30 years - from lovers of extreme sports to roofers and explorers. Read our article to learn how the ‘Tower of death’ earned its grim nickname. The demolition of the tower is set to be performed by Ural Mining and Metallurgical Company (UMMC), which promises to build an ice arena in its place. 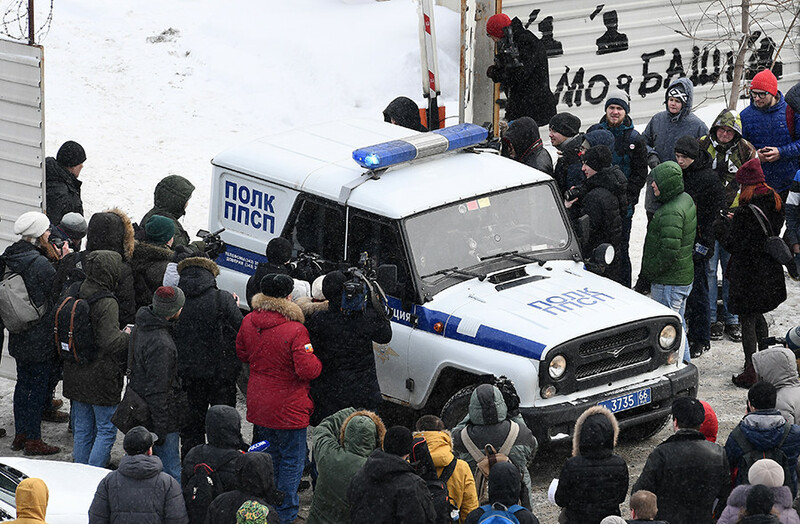 But the locals are suspicious of the project, as the technical plan and models of the arena were presented only two days prior to demolition.Meanwhile, the former project of the same investor, a temple on the water, also found itself the target of protest by Ekaterinburg’s inhabitants.